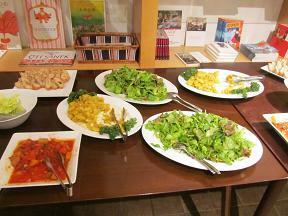 The other day...I went to Kiyotaka Minami, a food producer’s birthday party. Happy Birth day! 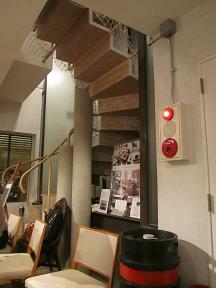 "Amo" is the only Czech restaurant in Tokyo. What I cared about the most this time was…the pin on Kiyo-san’s chest. You know what? 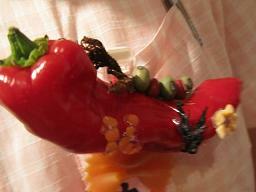 This is a handmade pin which was made with pepper, seaweed, beans and so on. It's outstaning, isn't it? 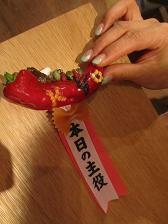 It’s very a charming handmade present for a food producer. A beautiful woman held the pin for the photo shoot. I don’t know why but it seems somewhat naughty…I wonder why? The Czech restaurant where the party was held is located on the street right behind the cat street in Harajyuku.